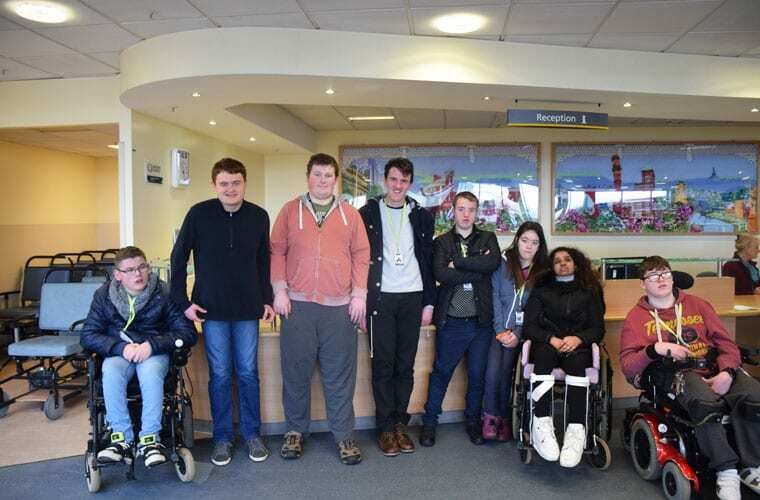 Learners from Nelson and Colne College’s Bridge programme visited Royal Blackburn Hospital recently, to learn more about careers with East Lancashire Hospitals Trust. The trip included viewing the hospital’s laundry, post room, reception and catering department, and gave students an overview of the way the hospital works and what types of jobs or volunteering roles could be available. NCC’s Bridge programme is for people with learning difficulties or disabilities, and covers a range of courses including Preparation for Employment. Speaking about the visit, Curriculum Leader Elaine Craddock said: “The students really enjoyed the visit to Royal Blackburn Hospital – it was a great chance for our students to find out about the world of work, as well as how the hospital functions. NCC has a “Career College” focus, helping students on all programmes get ready for their future. This year saw the launch of the NCC+ Careers Zone, which gives students support on updating their CV, gaining work experience and more.